I knew I had, because it gave off juuuust the right amount of smoke. The smoke was a dead giveaway. It was turquoise instead of vermilion. That meant the reagents had properly reacted and were giving off the energy needed to make the solution expand to fill the flask. I watched it grow, frothing and bubbling until it reached the lip, then put a cork in the top. It stopped frothing immediately and settled, the undissolved parts sinking to the bottom as it calmed. I danced as I held the bottle high above me in my magic, prancing in a small circle. “Yes! After all this effort, I got it!” I said to myself. I’m my best listener, you know. I had been working for weeks on understanding the solution’s properties. It was an old excerpt from the alchemists of the Crystal Empire in one of their texts. Having read so many of the books, I had always wanted to try out some of their work and working with the crystals that made up much of the city seemed fun and harmless. Mind you, alchemy and magic both aren’t things to be trifled with, and of course, I took every possible precaution. Protective eyewear over my glasses, gloves for my hooves, and I even left my cape on during my work. I was hoping it would protect me if anything splashed. That way the only thing damaged would be my cape and not my skin. The current experiment I was performing was a test of the ground up crystals that filled the empire. There was ambient magic everywhere here, and the possibility that it could be harnessed in a way much like the crystal heart itself was tantalizing. What this test would do, was it would see if the crystals propagated when given the right reagents. I had hoped to see some growth in the flask, but when I shook it, all that happened was the crystal dust that hadn’t yet dissolved shifted around. I sighed, having read that it would be “rather quick” to grow and not seeing anything. I put it on the shelf next to the others that were currently in various states of growth. I went back and looked at the text. It was written in a terrible hoofwritten script that I could barely read, and I feared I was misunderstanding some of the directions. I was an expert at translating old Ponish, but even an expert can only read so much gibberish before some things actually become gibberish. If I understood this work, however, it was describing the creation of a solution that would grow a crystal that would allow you to see into your own memories and recall them with “crystal clarity”, as the writer put it. A memory device that could be used at will. You could request a specific memory, or just give it something a bit vaguer, then hold it to your head and recall something your mind knew fit that criterion. It wasn’t one hundred percent accurate, of course. You might pick up a memory you had long forgotten that fit that, or it may have to cycle through several of the same type, but it would be useful for my own research. I found myself leaving notes around my library about this or that that I could never fully recall the purpose of. I’d look at it but couldn’t recall what I needed to apologize to myself about. I considered it pretty good that I couldn’t recall what I needed to apologize for. It must not have been important if I couldn’t recall the offense or embarrassment, but then, if it were that simple, why did I write it down? I’d left the note there for several weeks, despite not having ever remembered the problem, but I held out the hope that I would eventually recall what I had done. Then I could fix it. It must have been at least somewhat important to write down. I only ever wrote down the most important things, after all. There was a knock at the door. I ignored it, hoping they would go away and leave me alone to my research. I was preparing another solution with crystals from the most eastern edge of the empire this time. The idea was that different portions of the empire would hold different amounts of power. The knock came again, along with a voice. It was Shining Armor, of course. He was always asking me for advice about his wife and child, like I had some sort of experience dealing with that kind of thing. I didn’t. I was the furthest thing from a relationship-worthy stallion, and no mares were interested in me for any reason besides my relation to the royal couple. I liked Shining Armor and Cadance, don’t get me wrong, but they were… a seemingly aimless couple. I thought they’d had their daughter far too soon, especially given that she was an alicorn. It was crazy and overwhelming. I sighed and went to open the door. I carried my book with me and didn’t look up as I opened it, trying to focus on the paragraph I was currently on. “Well, you have my opinion on the matter.” I shut the door in his face and returned back to my office. When I returned to my books, I continued reading until I was satisfied I had found the information I wanted about the crystals. The notes mentioned a change in the makeup of the crystal structure that would resonate better or worse, but it didn’t explain how to find these crystals. It was almost as if the author of the book thought of them as an everyday occurrence that was now—in my time—unassuming or common, but less-known. That was going to be a problem. I lifted the book off the lectern and turned to look at my flasks when something caught my eye. It was a note, hidden underneath my book. I picked it up to read it, curious as to why I would have left one there. That made me stop and think. What could I have to be upset about? Shining Armor? His wife? Their daughter? I got upset. It would be foolish to claim I didn’t. I got mad at things sometimes as well. Why, when Starlight and I had gone back to our hometown, we’d gotten mad at our parents. Was that what I was trying to tell myself? I paced back and forth for a moment in thought, stroking my beard. The book and note I had both been reading were floating along behind me, held in my magical grip. What was the meaning behind these things? Why couldn’t I remember? Were they the reason I had been looking to create these crystals? I looked up at the line of flasks on the wall, each one stoppered tight. They were of different colors, with only the last one having hit the proper shade of turquoise. The others were all varying shades of vermilion, unfortunately not having reached the proper equilibrium. That wasn’t to say they weren’t useful. They were still growing crystals, and like I always say; you can’t learn anything without making a few mistakes the first time around. I did make a lot of mistakes, didn’t I? I never had the raw magical power that Starlight Glimmer did. I was excellent at research. One of the best, if I did say so myself. As a student of Celestia’s school for gifted unicorns, I was a proficient researcher. But I never reached the same level of power the others did. I was… lacking. Was that something to be upset about? Was that something I should be upset about? Was that the purpose of the note? It wouldn’t have come to mind if it weren’t important, right? That didn’t seem to make that much sense. I’d thought about it before and never left any notes. At least, none that didn’t mention Celestia’s school of gifted unicorns. I would have made it more clear if that were the problem, right? I stopped pacing and flipped open the book again. I tried to read through the scrawled notes and understand what else I could use the crystals for, or perhaps even make them do. Was I missing a crystal? Was there a type of crystal that they used to manufacture that they no longer did? Crystals were just a fact of life around here, so surely that might have been something they did. Growing crystals was easy. King Sombra was proficient at it, and his evil magic even did it. It could suppress unicorn spells, too. Maybe it could even hold magic! I pulled out a piece of paper to write down a note, when the old note floated in front of my vision. It’s okay to be upset about things. That meant something. I was sure of it! But what? I tried to recall all the events of the past few days, but most of it was involved in creating and testing all these different mixtures. Vermilion all over the place, but only one turquoise. I looked at the flasks and realized there were more than there should have been. There were two bottles placed after the turquoise one. Those hadn’t been there before. I had a very strict arrangement plan for all my research. When I would perform research, I started at the top left, then worked my way to the right and down, then wrapped around, much like text in a book. These two were to the right of the turquoise bottle. I moved closer and pulled them both off the shelf. I checked the labels and discovered they were from tomorrow and the day after that. Each one was created roughly a full twenty-four hours after the turquoise bottle. My first thought was why they were vermilion and not turquoise. If I’d managed to created a turquoise solution instead of vermilion that one time, why hadn’t I been able to replicate it? My next thought was how that wasn’t what I should be focusing on. Something was clearly going wrong, and I was busy worrying about why my one success didn’t experience any further success! The crystals in the previous bottles were all quite large, and the one in the turquoise bottle was at about the forty-eight hour growth point, as expected. It was fulfilling the turquoise expectation, as it was one solid chunk of crystal instead of a branching pattern like the vermilion ones. That was supposed to improve the memory reflection, twisting it around the crystal until the memories came back to you. The description in the book was lacking, but I thought once I had experienced it it would make more sense. It was, I had to admit, convenient that I didn’t have to deal with the intervening forty-eight hours and could see the fruits of my labor so soon, but that still raised the question of where those hours had gone. It also raised questions of what I might have missed. 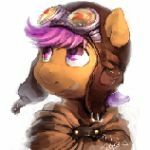 Had anypony come to ask me anything? Did the prince and princess need my help? Had I forgotten anything? I decided the first order of business would need to be focused on finding out if I had forgotten anything. I scrambled around my study, looking for any notes I might have left. From the last one having been placed under my book, I decided I probably would have put them where they were easiest to find. That could have been under other books, or maybe on the wall behind the bottles. One by one I brought the solutions down to check behind them. I put them all back in the correct order, painstakingly checking to be sure they were all in the right spots according to their labels. When I found nothing behind the solutions, I went over to the bookshelf where I spent most of my time. I wanted to say the piles of unorganized books were higher than they had been the last time I was here, but I attributed that to me missing forty-eight hours of days. I must have been reading during that time. Out of curiosity, I looked at the books on the top of the piles, trying to figure out what I had been reading. The book on the top was titled Innocent Questions. It was about the sort of questions you can expect foals to ask their parents. Things like where foals come from, and what mommy and daddy do in their spare time when they go into the room. I thought it would be useful for Cadance and Shining Armor to know what to expect when Flurry Heart got old enough. Interestingly, there was a bookmark in this book. I couldn’t imagine why I might have been reading it, but I pulled it open to the bookmarked page. Inside, there was another note, left by me, for me, laid in the page underneath the bookmark. “It’s not okay to ignore your own feelings,” I read out loud. I looked up at the shelf where I had all the solutions lined up. The turquoise one was almost ready, but it still needed more time. It wasn’t quite the right shape to be used as a memory device. Some of the vermilion ones were done growing, but they were less reliable than the turquoise one, and had some unknown side effects. I didn’t want to use one of those. They were just for research. I blinked and turned back to the book I had been carrying absent-mindedly with me this whole time. It was still open, and I checked the page I was on. I wasn’t very surprised to find myself nearing the back of the book. I couldn’t remember what I had read in between where I had been, and where I supposedly now was. That did me no good, and honestly got in the way. It was more than a little frustrating. I needed some way to figure out what was happening. Was I losing my mind? Was I getting forgetful? I wasn’t very old, so something else was going on, but what? I turned back to my search, hunting for more notes. These ones I was finding were more cryptic than what I was used to leaving. Usually they explained something of their purpose. It was clear I was trying to remind myself to remember something and get over it, but without any hints, it was difficult to figure what I was saying. I found nothing during that first sweep, but when I stopped hunting and went back to look at the bottles on the shelf I found a note planted on the turquoise solution. I tore it off in frustration and confusion and read it. “You’re making mistakes, and sometimes that’s okay,” it read. The paper told me nothing, of course. I turned back to the book to look at possible results for the solutions. Most of the ones I had were vermilion, with a single turquoise. According to the book, turquoise was the desired result, with vermilion as having a lesser effect. No other colors were listed, but it stated that you didn’t want to get any other colors, as that would result in dangerous crystallizations. I didn’t know what kind of danger, and it didn’t explain. A knock at the door interrupted my train of thought. I sighed heavily and tried to ignore it. It couldn’t be the prince or princess, they were probably busy with their own affairs, trying to decide what oats to feed Flurry Heart still. He’d asked me that not twenty minutes ago. But then, I’d apparently created two new bottles of crystal solution since then, so much more time had passed than I was aware of. That raised several questions that I had distracted myself from thinking about, such as where that time went, and why that time went somewhere. I’d been so preoccupied with the notes I hadn’t thought about the loss of time. The knock came a third time while I was thinking. I went over to open the door. “Prince Shining Armor, tell your wife that you aren’t a foal, and you need to eat properly, or you’ll lose that physique that she loves so very much. Now please, I’m in the middle of something important.” I shut the door in his face without waiting for a response. I’d lost time. I’d completely lost it. Either my memory missed those two days, or I truly had lost time somewhere and somehow. And why was Shining Armor asking me that same question again? That meant I was going backward in time as well as losing it. What was that meant to do? I hurried back through my study to the bottles on the wall. I looked at them all carefully. I organized them again, making sure they were all in the right places for when I had created them. I got to the end and put the last one in place, only to see another one; a third after the turquoise, sitting on the end. It had literally just appeared there. I was putting the second vermilion one back when that one had appeared. I was sure of it. No fanfare, no nothing, just suddenly there when it hadn’t previously been there. I glanced back at the turquoise, and was pleased and concerned to see that it was fully-grown. The crystal structure was beautiful, and it was formed exactly as it should have been, like was illustrated in the book. I pulled the book in front of me and flipped to the sketches. My breath caught as I opened the page only to see a note left for me on the page covering the sketch. “Please stop being so self-destructive,” it read. I looked myself over. I didn’t think I was destroying myself. I was a little scruffy, my mane wasn’t brushed, and my beard was wild, but otherwise I didn’t think I was too self-destructive. I didn’t stink, my cape was… well, not super clean, but clean enough. I had my books, my research, and my alchemy, even if I didn’t have a lot of magic. But that had never been my forte to begin with. What was the note trying to say? I pulled the notes around in front of me. They’d all been following me around the room along with the book. I absent-mindedly just carried them everywhere I went. It was a habit of mine, but it came in handy when I was performing research. I’d always find the notes I needed being dragged along behind. The notes were all in my hoofwriting, and they all referred to me. They also all told me to stop doing something I was doing, and to forgive myself for it. I had made a mistake, and I needed to stop beating myself up over it. What was it, though? I looked at my notes again, then looked up at the turquoise crystal. The book said that it could help anypony remember something with just a few vague instructions on what it was you were trying to remember. With the notes I had a clear picture of what I wanted to remember. Something I was beating myself up over or hating myself for. I could use it, and then I’d know. I lifted the solution off the shelf and pulled the top off. I washed out the solution leaving only the crystal, which I pulled out and held in front of me. The color was clean and clear turquoise, and although I had sort of expecting some sort of feeling of magic, there was none. It seemed to be nothing more than a falsely-grown crystal structure, just like the book said. I held it up in front of me, then set the book down on the lectern. I held the notes up on my right, and the crystal on my left. I bent low over the book and flipped through the pages to the one with the instructions on use. With these things in mind, I held the notes up underneath the crystal and focused on them all as they floated in front of me. My thoughts focused on each note in turn, and the spell was focused into the crystal. It began to glow, and I waited eagerly for something to happen. The crystal glowed, my spell continued, and the notes floated there in front of me, but nothing occurred. I couldn’t fathom why. I double-checked the instructions in the book, but there wasn’t anything there I was missing. Either the writer had forgotten some portion of the instructions, or I was messing it up. Was I holding it right? Was I focusing on the notes right? I adjusted its position a few times, but nothing changed. I tried focusing on a single note and the associated memories with that, but still there was nothing. There was supposed to be some flash of light and a feeling of ‘clarity’, but I wasn’t feeling anything, and there certainly hadn’t been a flash. Angrily, I placed the crystal none too gently on the lectern next to the book. Was my magic too weak? “That seems the most likely possibility, Sunburst, you pathetic excuse for a wizard,” I said glumly. “Can’t even cast a simple memory spell.” I flopped down into a nearby chair and sulked, the notes still idly floating next to me as I grumbled. I couldn’t cast a memory spell. It didn’t seem like the crystal was the problem, which meant the problem was me. But what was it that was wrong with me? I was sitting there thinking for a little bit when a knock came at the door. I ignored it. It was probably Shining Armor or Cadance again. I sat up straight. This was the third time he’d come by about the same thing. Starlight had told me about time spells, but I hadn’t ever had the inclination or pure power to cast one. Not like Twilight or Starlight. I wasn’t a beast when it came to magic, I was a scholar. I thought of spells and memorized them and detailed their applications in the wider world, but I didn’t cast them. A third knock; followed by another familiar sentence. It was happening again. There was no way I was traveling through time. I wasn’t that powerful, and the crystal wasn’t supposed to have anything to do with time. Was somepony else doing it and I was unaffected by the loss of memory of it because of the crystals? That was possible, but then why wasn’t I feeling anything other than the ambient magic of the crystal heart? “What’s today, Prince Shining Armor?” I demanded. “Oh… okay,” he said, taken aback. “Oh, okay… good… luck?” He turned away, leaving me to go back to my work. I started to shut the door as he walked away, but when I glanced past Shining Armor, I tried to look out at the city. Everything seemed hazy, and it slipped past my eyes when I tried to focus on something. There was somepony moving out there, but I could have described them even if I wanted to. My eye didn’t focus on the pony, and when Shining Armor reached the bottom step and turned away, he also became a fuzzy, indistinct mess. I shut the door stood there for a moment, catching my breath and trying to figure out what was going on. I blinked a lot and looked around my office, trying to figure out if it was just outside or if my eyes were getting bad. There were four vermilion bottles now. The number of them was getting larger and larger. I brought the turquoise crystal in front of my face and stared at it a moment. Nothing had changed about it, it was still solid and beautiful, as much as a home-grown crystal could be. Its facets sparkled in the magical light that filled my study, glittering and sparkling. I was holding it, so why would I have needed to create a new solution when I was testing this one? It hadn’t worked, but then, why wouldn’t I have gotten a new turquoise? My mind whirled with questions with no obvious answer. I hadn’t been able to read my own memories, and I hadn’t been able to create a new turquoise solution. Why was I still trying? What was I missing? I was missing something. Had I ruined time outside with my creation? Had I ruined time inside? Who was making the mistake? Was it me? Was it somepony else? I was the only pony trying to mess with time, so it must be me, but what was I doing? That sounded like a direct order, and regarding my most recent thoughts, I wondered if I was trying to tell myself to stop second-guessing things and just let it go. But why would I let it go when something had clearly gone wrong? Unless that was what was going to cause things to go wrong. Was I trying too hard, truly? Was I making mountains out of molehills? Was I panicking over nothing? Surely I wasn’t. There was a problem with time. For some reason Shining Armor—and possibly the rest of the world—were stuck in a time loop that I was not a part of. What did that mean? That wasn’t nothing. I needed to focus. There was a start to all of this, and I needed to figure out what had started it. I thought back to what had happened, and the most obvious indicator that things were getting out of control. The only trigger I had to tell me that there was a problem were the reoccurring notes, all of which became new every time I got one, and Shining Armor’s appearance at the door. Those were the most salient points, but I had received multiple notes before Shining Armor appeared, whereas Shining Armor could only appear once. To the ends of figuring out what triggered it all, I sat down and waited, counting down the time until Shining Armor showed up at my door. It wasn’t more than a half hour, so if enough time passed, I would know I had broken it all somehow. Time passed, but eventually, a knock came to the door. I rushed over and swung the door open, the crystal, book, and notes all floating behind me. I slammed the door in his face and looked back at my study. If I understood the loop well enough, I would be getting a new note soon. From myself, or somepony much like me. Somepony who knew my study well, and knew me well enough to know where I would find a note. I hunted about for one, but I couldn’t find it. I checked the bottles on the wall, but there weren’t any new ones. I looked in and on the book I was holding, but found nothing. I checked the crystal, but there was still nothing there, either. There was no note anywhere to be found. Had I ruined the cycle somehow by answering the door too early? All the other times he’d had to knock twice. If so, I wasn’t going to cry about it. I would love to be out of some strange time loop, but I thought that was wishful thinking. It couldn’t possibly be so easy. In true form, after a long while of searching for the note, I heard a knock at the door. I sighed, knowing I had missed something and went to open it. Shining Armor was there, smiling up at me. “Talk to your wife about your dietary plans. As an adult stallion you need more protein and carbs than a foal does, so you cannot eat the same things as your infant and expect to survive. It is not a feasible choice, so don’t do it. You can tell her the advice came from me,” I droned out. I turned to look at my cloak and was shocked to see it was covered in notes! There were five, plastered and pinned all over me. I tore them off and held them up in front of me. What was I supposed to stop? Trying to understand this? I didn’t want to be trapped in a loop of time forever! I wasn’t going to stop! So it must mean something else. I’d never tell myself to give up and stop anything! If I didn’t understand, I kept trying, so what was I trying to tell myself? He was already gone. He ran off into the fuzzy distance toward the castle. Shadowy forms of ponies walked about in the haze, and when he reached a certain point, he disappeared, fading into the haze as if he weren’t even there. That made me pause. That wasn’t very much like a time loop. I wasn’t worried about him, because the nature of the entire loop I was trapped in meant that it would just restart. My study must be the only isolated part of it. I debated walking out to check it myself, but I decided against it. My study was immune, which meant that if I were to leave it, I might age until death in an instant, or I would be torn apart by a paradox of some kind. It was safest to stay put until I or somepony outside it figured it out. I shut the door, knowing Shining Armor would be back to start it all again soon, and spent the time thinking. There was one question that was bothering me; if I was receiving all these notes from myself, when did I write them? Was I writing them at some point past this whole thing, when I had time to put them to paper? For that matter, when was I putting them there? How did I go back in time and plant them at specific points for myself to find? How was I hiding them until then? I had checked some of these places before the notes appeared there, and they hadn’t had notes on them then, so that meant there were specific points in time that they arrived, so when had I done that? The more I thought about it, the more it didn’t seem like a time loop, which was worrying me. If it wasn’t a loop of time, then what was it? How was it happening, and what part did I and my crystals play in it? I paced back and forth, thinking about everything. My study spun around me as I walked. My eyes were staring at nothing, pointed at the floor but focused on nothing at the moment. I paced and waited, expecting a knock at the door any moment. I wasn’t keeping track of time, but Shining Armor was due back any moment, I thought. The knock came at the door and my head shot up. My eyes focused again, and I screamed. I tried to breathe. My heart hammered in my chest as I hyperventilated, looking around at the livid black text on every single note in the room. In all capital letters I saw “Please stop” all over the place. I tried to answer, but the words stuck on my tongue, and I just stammered stupidly. The door slammed open and Shining Armor burst in. He skidded to a halt inside the door and froze. His image looked ready to fight, but he had gone fuzzy and still. The outside world was an indistinct haze through the open door behind him. I looked at him in confusion and panic, a strange cocktail of emotions flowing through me. “Prince Shining Armor?” I finally choked out. He didn’t respond. He was frozen, stuck in time, but indistinct, as if he didn’t know what he was doing. Or what he was going to do. He looked heroic, surely enough, but he wasn’t moving. I reached out a hoof to touch him, but pulled it back, unsure what would happen if I touched him as he was. The time differences between us might ruin it. But this didn’t seem like time. Shouldn’t he have joined me in being immune to the time problems? And where were these notes coming from! The more I thought about it, the less it seemed like a true time loop, and more like something else. What, though? Shining Armor’s form started to go strangely staticky, and his shape remained, but now it was whispering. I pricked my ears to listen, and I heard “Please stop” being muttered in my own voice. The whispering got louder, and I shut my eyes and put my hooves over my ears. The items I was holding all dropped to the floor. The notes fluttered down and the crystal thunked against the crystal flooring. The book made a heavy thump as it impacted the floor, and I just crouched down and waited, trying to hide from everything around me. Despite my attempts at blocking out the outside world, no matter how much I waited, I heard a knock at the door again. I heard Shining Armor’s muted voice, and I knew exactly what he was saying. I ignored him and waited. I could hear my own voice repeating “please stop” over and over again coming from the remnants of Shining Armor’s previous iteration. The knocking came again. I continued ignoring it. I heard him say something. I ignored it. The knocking immediately stopped. The echoes of it still sounded in my head, but there was no longer any pounding at the study door. The staticky form in my study hadn’t gone away, and it was still whispering at me, however, but at least the knocking was gone. I picked up the turquoise crystal and the book from the floor. I left the notes where they were. They’d gotten mixed up in the piles of notes that had appeared covering everything, and I figured they weren’t the important part of the problem. It was something else I needed to worry about. I was working on a memory crystal. Something to help me remember. I hadn’t remembered anything, and when I’d tried to use it, nothing had happened. I looked up at the crystals on the shelves above me. There were more of them, but I don’t know why they were all vermilion and not turquoise. What was I doing wrong? Did they have something to do with the problem? More notes appeared on the shelf, covering the bottles. I brushed them away and took down the first vermilion solution to look at. I compared it to the turquoise one. They were both solid, but very different in structure. What was the connection? I opened the bottle and removed the vermilion crystal. I held both it and the turquoise crystal up next to each other and compared the two. There wasn’t much similar between them that I could see. One was a crystal lattice of thin branches, and the other was a thick, solid formation. I had dropped the turquoise one and it hadn’t even flaked. The vermilion one looked like it would shatter if I so much as sneezed on it. I moved the turquoise one behind me to float out of sight and focused my attention on the vermilion one. If I were to take a look at the construction of the vermilion one, maybe I could understand what was going on with the turquoise one and determine what I needed to do to fix it. If the vermilion one had a different effect, maybe that was what caused this mess? It wasn’t a time loop, I was sure of that. It seemed like one, but there were a lot of factors that made no sense, so using something different to try and replicate the effects might help me understand it better. But that raised the question of what might happen now that I was already inside… something. But to better understand it… that would be the ultimate question. To know what I had done, and then try to remove it. I had fixed the crystal heart with just a little bit of hearsay and knowledge of tradition, I could fix this with just a little bit of experience and testing. The book didn’t explain anything about the results of testing the vermilion crystal, so surely it wouldn’t be that bad. If it caused death, destruction, or anything else, it would have been written down. The author had written other books, so it couldn’t be so bad. I pulled the book off the floor and looked at the instructions. I double-checked to see if any adverse effects had been reported, and although there was mention of him remembering things he hadn’t wanted to remember, there wasn’t anything else listed under the effects. I nodded, took a breath, then cast the spell. I heard a knock on the door and went over to it in a confused daze. My hooves kicked up a small cloud of notes, all with the writing, “Please stop.” On it. I pulled open the door to see Shining Armor, covered in notes that said, “Please stop.” He opened his mouth and said, “I don’t want to remember anymore,” in my voice. I blinked, and in my magic the turquoise one turned red. I looked back at the room. Whatever was happening, I didn’t want to know, and I didn’t care. I dropped the bottle. On the shelf in front of me was one vermilion crystal, and one turquoise one. I was holding a book. There were two notes in front of me. One pasted on the vermilion crystal. It was; Do not use. I swallowed. Nodded. And put down the book. The streets were clean, clear, and obvious. I could see Shining Armor coming down the street. I went the other way. It was a good time for a walk. I’d created something amazing. I knew I had, because it gave off juuuust the right amount of smoke. The smoke was a dead giveaway. It was turquoise instead of vermilion. That meant the reagents had properly reacted and were giving off the energy needed to make the solution expand to fill the flask. I watched it grow, frothing and bubbling until it reached the lip, then put a cork in the top. It stopped frothing immediately and settled, the undissolved parts sinking to the bottom as it calmed. I danced as I held the bottle high above me in my magic, prancing in a small circle. “Yes! After all this effort, I got it!” I said to myself. I’m my best listener, you know. I had been working for weeks on understanding the solution’s properties. It was an old excerpt from the alchemists of the Crystal Empire in one of their texts. Having read so many of the books, I had always wanted to try out some of their work and working with the crystals that made up much of the city seemed fun and harmless. Mind you, alchemy and magic both aren’t things to be trifled with, and of course, I took every possible precaution. Protective eyewear over my glasses, gloves for my hooves, and I even left my cape on during my work. I was hoping it would protect me if anything splashed. That way the only thing damaged would be my cape and not my skin. The current experiment I was performing was a test of the ground up crystals that filled the empire. There was ambient magic everywhere here, and the possibility that it could be harnessed in a way much like the crystal heart itself was tantalizing. What this test would do, was it would see if the crystals propagated when given the right reagents. I had hoped to see some growth in the flask, but when I shook it, all that happened was the crystal dust that hadn’t yet dissolved shifted around. I sighed, having read that it would be “rather quick” to grow and not seeing anything. I put it on the shelf next to the others that were currently in various states of growth. “Another one with nothing.” I went back and looked at the text. It was written in a terrible hoofwritten script that I could barely read, and I feared I was misunderstanding some of the directions. I was an expert at translating old Ponish, but even an expert can only read so much gibberish before some things actually become gibberish. If I understood this work, however, it was describing the creation of a solution that would grow a crystal that would allow you to see into your own memories and recall them with “crystal clarity”, as the writer put it. A memory device that could be used at will. You could request a specific memory, or just give it something a bit vaguer, then hold it to your head and recall something your mind knew fit that criterion. It wasn’t one hundred percent accurate, of course. You might pick up a memory you had long forgotten that fit that, or it may have to cycle through several of the same type, but it would be useful for my own research. I found myself leaving notes around my library about this or that that I could never fully recall the purpose of. Right now, in fact, there was a a note from myself saying, “An apology to myself.” I’d look at it but couldn’t recall what I needed to apologize to myself about. I considered it pretty good that I couldn’t recall what I needed to apologize for. It must not have been important if I couldn’t recall the offense or embarrassment, but then, if it were that simple, why did I write it down? I’d left the note there for several weeks, despite not having ever remembered the problem, but I held out the hope that I would eventually recall what I had done. Then I could fix it. It must have been at least somewhat important to write down. I only ever wrote down the most important things, after all. There was a knock at the door. I ignored it, hoping they would go away and leave me alone to my research. I was preparing another solution with crystals from the most eastern edge of the empire this time. The idea was that different portions of the empire would hold different amounts of power. The knock came again, along with a voice. “Sunburst, I know you’re in there. I need to ask if you’ve talked with Cadance about Flurry Heart’s diet, recently. She’s on this kick about specific kinds of oats, and I wanted advice about how to convince her we don’t have to eat the same things she does.” It was Shining Armor, of course. He was always asking me for advice about his wife and child, like I had some sort of experience dealing with that kind of thing. I didn’t. I was the furthest thing from a relationship-worthy stallion, and no mares were interested in me for any reason besides my relation to the royal couple. I liked Shining Armor and Cadance, don’t get me wrong, but they were… a seemingly aimless couple. I thought they’d had their daughter far too soon, especially given that she was an alicorn. It was crazy and overwhelming. I sighed and went to open the door. I carried my book with me and didn’t look up as I opened it, trying to focus on the paragraph I was currently on. “Hello, Prince Shining Armor,” I said. “No, I haven’t talked with your wife about your daughter’s diet, and no, you don’t both need to eat the same thing as she does. She’s a foal and has completely different dietary needs than the both of you. If you think the Princess is unfairly asking you to eat the same foods she is, then the two of you should probably discuss it and determine what course of action you want to take. Is that all you wanted to ask me?” “Yeah, that’ll be all, I guess. Thanks, Sunburst. I was just curious if she’d approached you about it.” “Well, you have my opinion on the matter.” I shut the door in his face and returned back to my office. When I returned to my books, I continued reading until I was satisfied I had found the information I wanted about the crystals. The notes mentioned a change in the makeup of the crystal structure that would resonate better or worse, but it didn’t explain how to find these crystals. It was almost as if the author of the book thought of them as an everyday occurrence that was now—in my time—unassuming or common, but less-known. That was going to be a problem. I lifted the book off the lectern and turned to look at my flasks when something caught my eye. It was a note, hidden underneath my book. I picked it up to read it, curious as to why I would have left one there. It said: “It’s okay to be upset about things.” That made me stop and think. What could I have to be upset about? Shining Armor? His wife? Their daughter? I got upset. It would be foolish to claim I didn’t. I got mad at things sometimes as well. Why, when Starlight and I had gone back to our hometown, we’d gotten mad at our parents. Was that what I was trying to tell myself? I paced back and forth for a moment in thought, stroking my beard. The book and note I had both been reading were floating along behind me, held in my magical grip. What was the meaning behind these things? Why couldn’t I remember? Were they the reason I had been looking to create these crystals? I looked up at the line of flasks on the wall, each one stoppered tight. They were of different colors, with only the last one having hit the proper shade of turquoise. The others were all varying shades of vermilion, unfortunately not having reached the proper equilibrium. That wasn’t to say they weren’t useful. They were still growing crystals, and like I always say; you can’t learn anything without making a few mistakes the first time around. …a lot of mistakes. I did make a lot of mistakes, didn’t I? I never had the raw magical power that Starlight Glimmer did. I was excellent at research. One of the best, if I did say so myself. As a student of Celestia’s school for gifted unicorns, I was a proficient researcher. But I never reached the same level of power the others did. I was… lacking. Was that something to be upset about? Was that something I should be upset about? Was that the purpose of the note? It wouldn’t have come to mind if it weren’t important, right? That didn’t seem to make that much sense. I’d thought about it before and never left any notes. At least, none that didn’t mention Celestia’s school of gifted unicorns. I would have made it more clear if that were the problem, right? I stopped pacing and flipped open the book again. I tried to read through the scrawled notes and understand what else I could use the crystals for, or perhaps even make them do. Was I missing a crystal? Was there a type of crystal that they used to manufacture that they no longer did? Crystals were just a fact of life around here, so surely that might have been something they did. Growing crystals was easy. King Sombra was proficient at it, and his evil magic even did it. It could suppress unicorn spells, too. Maybe it could even hold magic! I pulled out a piece of paper to write down a note, when the old note floated in front of my vision. It’s okay to be upset about things. That meant something. I was sure of it! But what? I tried to recall all the events of the past few days, but most of it was involved in creating and testing all these different mixtures. Vermilion all over the place, but only one turquoise. I looked at the flasks and realized there were more than there should have been. I counted them. There were two bottles placed after the turquoise one. Those hadn’t been there before. I had a very strict arrangement plan for all my research. When I would perform research, I started at the top left, then worked my way to the right and down, then wrapped around, much like text in a book. These two were to the right of the turquoise bottle. “What in the world?” I moved closer and pulled them both off the shelf. I checked the labels and discovered they were from tomorrow and the day after that. Each one was created roughly a full twenty-four hours after the turquoise bottle. My first thought was why they were vermilion and not turquoise. If I’d managed to created a turquoise solution instead of vermilion that one time, why hadn’t I been able to replicate it? My next thought was how that wasn’t what I should be focusing on. Something was clearly going wrong, and I was busy worrying about why my one success didn’t experience any further success! I shook my head. “I’m focusing on the wrong thing. Think, Sunburst, think!” The crystals in the previous bottles were all quite large, and the one in the turquoise bottle was at about the forty-eight hour growth point, as expected. It was fulfilling the turquoise expectation, as it was one solid chunk of crystal instead of a branching pattern like the vermilion ones. That was supposed to improve the memory reflection, twisting it around the crystal until the memories came back to you. The description in the book was lacking, but I thought once I had experienced it it would make more sense. It was, I had to admit, convenient that I didn’t have to deal with the intervening forty-eight hours and could see the fruits of my labor so soon, but that still raised the question of where those hours had gone. It also raised questions of what I might have missed. Had anypony come to ask me anything? Did the prince and princess need my help? Had I forgotten anything? I decided the first order of business would need to be focused on finding out if I had forgotten anything. I scrambled around my study, looking for any notes I might have left. From the last one having been placed under my book, I decided I probably would have put them where they were easiest to find. That could have been under other books, or maybe on the wall behind the bottles. One by one I brought the solutions down to check behind them. I put them all back in the correct order, painstakingly checking to be sure they were all in the right spots according to their labels. When I found nothing behind the solutions, I went over to the bookshelf where I spent most of my time. I wanted to say the piles of unorganized books were higher than they had been the last time I was here, but I attributed that to me missing forty-eight hours of days. I must have been reading during that time. Out of curiosity, I looked at the books on the top of the piles, trying to figure out what I had been reading. The book on the top was titled Innocent Questions. It was about the sort of questions you can expect foals to ask their parents. Things like where foals come from, and what mommy and daddy do in their spare time when they go into the room. I thought it would be useful for Cadance and Shining Armor to know what to expect when Flurry Heart got old enough. Interestingly, there was a bookmark in this book. I couldn’t imagine why I might have been reading it, but I pulled it open to the bookmarked page. Inside, there was another note, left by me, for me, laid in the page underneath the bookmark. “It’s not okay to ignore your own feelings,” I read out loud. That was curious. “What have I ignored? I didn’t think I was ignoring my own feelings.” Was it actually me leaving these notes behind? It looked like my writing, but I couldn’t imagine why I would have left them there. If only I could remember… I looked up at the shelf where I had all the solutions lined up. The turquoise one was almost ready, but it still needed more time. It wasn’t quite the right shape to be used as a memory device. Some of the vermilion ones were done growing, but they were less reliable than the turquoise one, and had some unknown side effects. I didn’t want to use one of those. They were just for research. I blinked and turned back to the book I had been carrying absent-mindedly with me this whole time. It was still open, and I checked the page I was on. I wasn’t very surprised to find myself nearing the back of the book. I couldn’t remember what I had read in between where I had been, and where I supposedly now was. That did me no good, and honestly got in the way. It was more than a little frustrating. I needed some way to figure out what was happening. Was I losing my mind? Was I getting forgetful? I wasn’t very old, so something else was going on, but what? I turned back to my search, hunting for more notes. These ones I was finding were more cryptic than what I was used to leaving. Usually they explained something of their purpose. It was clear I was trying to remind myself to remember something and get over it, but without any hints, it was difficult to figure what I was saying. I found nothing during that first sweep, but when I stopped hunting and went back to look at the bottles on the shelf I found a note planted on the turquoise solution. I tore it off in frustration and confusion and read it. “You’re making mistakes, and sometimes that’s okay,” it read. “Making mistakes?” I said to the paper, which didn’t respond. “What mistakes have I been making? And how would I know they’re mistakes? I’m only following directions.” The paper told me nothing, of course. I turned back to the book to look at possible results for the solutions. Most of the ones I had were vermilion, with a single turquoise. According to the book, turquoise was the desired result, with vermilion as having a lesser effect. No other colors were listed, but it stated that you didn’t want to get any other colors, as that would result in dangerous crystallizations. I didn’t know what kind of danger, and it didn’t explain. Was I making a mistake with the next solution? There was no indication anypony other than me had worked on these. Those two extra vermilion solutions were created, likely by me, but I had no memory of it. If I had done that, then… A knock at the door interrupted my train of thought. I sighed heavily and tried to ignore it. It couldn’t be the prince or princess, they were probably busy with their own affairs, trying to decide what oats to feed Flurry Heart still. The knock came again, along with a voice. “Sunburst, I know you’re in there. I need to ask if you’ve talked with Cadance about Flurry Heart’s diet, recently. She’s on this kick about specific kinds of oats, and I wanted advice about how to convince her we don’t have to eat the same things she does.” Wait… He’d asked me that not twenty minutes ago. But then, I’d apparently created two new bottles of crystal solution since then, so much more time had passed than I was aware of. That raised several questions that I had distracted myself from thinking about, such as where that time went, and why that time went somewhere. I’d been so preoccupied with the notes I hadn’t thought about the loss of time. The knock came a third time while I was thinking. “Please, Sunburst. She thinks that because Flurry Heart is eating these foal-oats that we should too, or else she’ll get offended. She’s a foal. She can’t get offended. I don’t want to eat the same things as a foal does. It’s humiliating.” I went over to open the door. “Prince Shining Armor, tell your wife that you aren’t a foal, and you need to eat properly, or you’ll lose that physique that she loves so very much. Now please, I’m in the middle of something important.” I shut the door in his face without waiting for a response. I’d lost time. I’d completely lost it. Either my memory missed those two days, or I truly had lost time somewhere and somehow. And why was Shining Armor asking me that same question again? That meant I was going backward in time as well as losing it. What was that meant to do? I hurried back through my study to the bottles on the wall. I looked at them all carefully. I organized them again, making sure they were all in the right places for when I had created them. I got to the end and put the last one in place, only to see another one; a third after the turquoise, sitting on the end. I blinked. It had literally just appeared there. I was putting the second vermilion one back when that one had appeared. I was sure of it. No fanfare, no nothing, just suddenly there when it hadn’t previously been there. I glanced back at the turquoise, and was pleased and concerned to see that it was fully-grown. The crystal structure was beautiful, and it was formed exactly as it should have been, like was illustrated in the book. I pulled the book in front of me and flipped to the sketches. My breath caught as I opened the page only to see a note left for me on the page covering the sketch. “Please stop being so self-destructive,” it read. I looked myself over. I didn’t think I was destroying myself. I was a little scruffy, my mane wasn’t brushed, and my beard was wild, but otherwise I didn’t think I was too self-destructive. I didn’t stink, my cape was… well, not super clean, but clean enough. I had my books, my research, and my alchemy, even if I didn’t have a lot of magic. But that had never been my forte to begin with. What was the note trying to say? I pulled the notes around in front of me. They’d all been following me around the room along with the book. I absent-mindedly just carried them everywhere I went. It was a habit of mine, but it came in handy when I was performing research. I’d always find the notes I needed being dragged along behind. The notes were all in my hoofwriting, and they all referred to me. They also all told me to stop doing something I was doing, and to forgive myself for it. I had made a mistake, and I needed to stop beating myself up over it. What was it, though? I looked at my notes again, then looked up at the turquoise crystal. The book said that it could help anypony remember something with just a few vague instructions on what it was you were trying to remember. With the notes I had a clear picture of what I wanted to remember. Something I was beating myself up over or hating myself for. I could use it, and then I’d know. I lifted the solution off the shelf and pulled the top off. I washed out the solution leaving only the crystal, which I pulled out and held in front of me. The color was clean and clear turquoise, and although I had sort of expecting some sort of feeling of magic, there was none. It seemed to be nothing more than a falsely-grown crystal structure, just like the book said. I held it up in front of me, then set the book down on the lectern. I held the notes up on my right, and the crystal on my left. I bent low over the book and flipped through the pages to the one with the instructions on use. I was to hold the crystal up in front of me, focus my spell into the crystal, then think about what I wanted to remember. Because I was obviously hunting for something forgotten, I didn’t have to know, but something along the lines of what I wanted. Such as: “What do I need to stop beating myself up over?” or “What have I done recently that needs forgiving?” With these things in mind, I held the notes up underneath the crystal and focused on them all as they floated in front of me. My thoughts focused on each note in turn, and the spell was focused into the crystal. It began to glow, and I waited eagerly for something to happen. …but nothing did. The crystal glowed, my spell continued, and the notes floated there in front of me, but nothing occurred. I couldn’t fathom why. I double-checked the instructions in the book, but there wasn’t anything there I was missing. Either the writer had forgotten some portion of the instructions, or I was messing it up. Was I holding it right? Was I focusing on the notes right? I adjusted its position a few times, but nothing changed. I tried focusing on a single note and the associated memories with that, but still there was nothing. There was supposed to be some flash of light and a feeling of ‘clarity’, but I wasn’t feeling anything, and there certainly hadn’t been a flash. Angrily, I placed the crystal none too gently on the lectern next to the book. Was it me? Was my magic too weak? “That seems the most likely possibility, Sunburst, you pathetic excuse for a wizard,” I said glumly. “Can’t even cast a simple memory spell.” I flopped down into a nearby chair and sulked, the notes still idly floating next to me as I grumbled. I couldn’t cast a memory spell. It didn’t seem like the crystal was the problem, which meant the problem was me. But what was it that was wrong with me? I was sitting there thinking for a little bit when a knock came at the door. I ignored it. It was probably Shining Armor or Cadance again. The knock came again. “Sunburst, I know you’re in there. I need to ask if you’ve talked with Cadance about Flurry Heart’s diet, recently. She’s on this kick about specific kinds of oats, and I wanted advice about how to convince her we don’t have to eat the same things she does.” I sat up straight. This was the third time he’d come by about the same thing. Starlight had told me about time spells, but I hadn’t ever had the inclination or pure power to cast one. Not like Twilight or Starlight. I wasn’t a beast when it came to magic, I was a scholar. I thought of spells and memorized them and detailed their applications in the wider world, but I didn’t cast them. A third knock; followed by another familiar sentence. “Please, Sunburst. She thinks that because Flurry Heart is eating these foal-oats that we should too, or else she’ll get offended. She’s a foal. She can’t get offended. I don’t want to eat the same things as a foal does. It’s humiliating.” It was happening again. There was no way I was traveling through time. I wasn’t that powerful, and the crystal wasn’t supposed to have anything to do with time. Was somepony else doing it and I was unaffected by the loss of memory of it because of the crystals? That was possible, but then why wasn’t I feeling anything other than the ambient magic of the crystal heart? “I’ll… come back later then, Sunburst. Sorry.” I hurried over to the door and flung it open. Shining Armor jumped slightly at the sound, but turned and gave me a sigh of relief. “Oh, thank goodness. Anyway Sunburst, I—” “What’s today, Prince Shining Armor?” I demanded. “What? It’s Thursday.” “Thursday,” I muttered to myself. That was the day I’d accomplished the creation of the turquoise crystal. So despite the extra solutions, no time had actually passed outside. My study was immune somehow, but outside was not. “Have you come by to ask me any other questions today?” “No, why?” “No reason. Just… talk to your wife, okay? You’ll figure something out.” “Oh… okay.” “But what if she doesn’t agree.” I put a hoof to my head and sighed. “If she disagrees, then you’ll have to talk to her about how you want to handle it. You’re both adults, you should talk about your problems.” “I just don’t think I can give up my rich, chewy grains and vegetables for lukewarm mash and kiddie gruel.” “Then don’t. You’re an adult, do what you want.” “But Cadance said—” I didn’t have time for this. I interrupted him. “You. Are. An. Adult. Do what you want! I have things I need to take care of! If you please, prince.” “Oh… okay,” he said, taken aback. I sighed. “I’m sorry, Prince Shining Armor, but I’m in the middle of an experiment and I’m not sure what’s happening with it. I’m a little confused and stressed. I’ll come find you when I’m done, alright?” “Oh, okay… good… luck?” He turned away, leaving me to go back to my work. I started to shut the door as he walked away, but when I glanced past Shining Armor, I tried to look out at the city. Everything seemed hazy, and it slipped past my eyes when I tried to focus on something. There was somepony moving out there, but I could have described them even if I wanted to. My eye didn’t focus on the pony, and when Shining Armor reached the bottom step and turned away, he also became a fuzzy, indistinct mess. I shut the door stood there for a moment, catching my breath and trying to figure out what was going on. I blinked a lot and looked around my office, trying to figure out if it was just outside or if my eyes were getting bad. Despite looking at different shelves and around the room, everything in my study looked clean and clear. I could identify all my books. They were exactly where they should be. I had a place for everything, and everything had a place in my study. The bottles on the wall were fine, with four vermilion bottles after the spot where I had removed the turquoise one… I did a double-take. There were four vermilion bottles now. The number of them was getting larger and larger. I brought the turquoise crystal in front of my face and stared at it a moment. Nothing had changed about it, it was still solid and beautiful, as much as a home-grown crystal could be. Its facets sparkled in the magical light that filled my study, glittering and sparkling. I was holding it, so why would I have needed to create a new solution when I was testing this one? It hadn’t worked, but then, why wouldn’t I have gotten a new turquoise? My mind whirled with questions with no obvious answer. I hadn’t been able to read my own memories, and I hadn’t been able to create a new turquoise solution. Why was I still trying? What was I missing? I was missing something. Had I ruined time outside with my creation? Had I ruined time inside? Who was making the mistake? Was it me? Was it somepony else? I was the only pony trying to mess with time, so it must be me, but what was I doing? My eyes slowly focused back on the crystal I was holding as my mind whirled with errant thoughts. When they did, I noticed that stuck on it was another note. This one read: “Stop making more of this than you need to.” That sounded like a direct order, and regarding my most recent thoughts, I wondered if I was trying to tell myself to stop second-guessing things and just let it go. But why would I let it go when something had clearly gone wrong? Unless that was what was going to cause things to go wrong. Was I trying too hard, truly? Was I making mountains out of molehills? Was I panicking over nothing? Surely I wasn’t. There was a problem with time. For some reason Shining Armor—and possibly the rest of the world—were stuck in a time loop that I was not a part of. What did that mean? That wasn’t nothing. I needed to focus. There was a start to all of this, and I needed to figure out what had started it. I thought back to what had happened, and the most obvious indicator that things were getting out of control. The only trigger I had to tell me that there was a problem were the reoccurring notes, all of which became new every time I got one, and Shining Armor’s appearance at the door. Those were the most salient points, but I had received multiple notes before Shining Armor appeared, whereas Shining Armor could only appear once. To the ends of figuring out what triggered it all, I sat down and waited, counting down the time until Shining Armor showed up at my door. It wasn’t more than a half hour, so if enough time passed, I would know I had broken it all somehow. Time passed, but eventually, a knock came to the door. I rushed over and swung the door open, the crystal, book, and notes all floating behind me. “Hello, Shining Armor! Are you here to ask me about your wife and daughter, and your… dietary habits?” Shining Armor looked shocked. He stammered a moment before he nodded and said “Yes, I was. It’s about—” “Flurry Heart’s diet and how Cadance wants you to eat the same things as she is?” “Yes… how did you—” “I can’t explain, but I can tell you we’ll have this conversation again. In the meantime, talk to you wife like an adult. It’ll be fine. Now I have work to get back to. Bye for now, Prince.” “Uh… oka—” I slammed the door in his face and looked back at my study. If I understood the loop well enough, I would be getting a new note soon. From myself, or somepony much like me. Somepony who knew my study well, and knew me well enough to know where I would find a note. I hunted about for one, but I couldn’t find it. I checked the bottles on the wall, but there weren’t any new ones. I looked in and on the book I was holding, but found nothing. I checked the crystal, but there was still nothing there, either. There was no note anywhere to be found. Had I ruined the cycle somehow by answering the door too early? All the other times he’d had to knock twice. If so, I wasn’t going to cry about it. I would love to be out of some strange time loop, but I thought that was wishful thinking. It couldn’t possibly be so easy. In true form, after a long while of searching for the note, I heard a knock at the door. I sighed, knowing I had missed something and went to open it. Shining Armor was there, smiling up at me. “Hey, Sunburst, I wanted to know if—” “Talk to your wife about your dietary plans. As an adult stallion you need more protein and carbs than a foal does, so you cannot eat the same things as your infant and expect to survive. It is not a feasible choice, so don’t do it. You can tell her the advice came from me,” I droned out. “Oh, well, thanks. How did you know my question, and why do you have notes all over your cloak?” I turned to look at my cloak and was shocked to see it was covered in notes! There were five, plastered and pinned all over me. I tore them off and held them up in front of me. One read; “You won’t understand, no matter how much you try. Please stop.” Another read; “There’s no sense in this. Please stop.” Another; “Quit trying so hard. Please stop.” “You’re not at fault. Please stop.” “Please stop.” Please stop. What was I supposed to stop? Trying to understand this? I didn’t want to be trapped in a loop of time forever! I wasn’t going to stop! So it must mean something else. I’d never tell myself to give up and stop anything! If I didn’t understand, I kept trying, so what was I trying to tell myself? “Are you okay, Sunburst?” I looked up at him. “Hmm? Yes. I’m trapped in a time loop and I’m trying to figure it out. I’m leaving myself hints, but I can’t make sense of them.” Shining armor looked shocked. “What? We need to get help right away, then! I’ll send for Cadance and we can contact Twilight!” “Wait, Prince, that won’t help! Stop!” He was already gone. He ran off into the fuzzy distance toward the castle. Shadowy forms of ponies walked about in the haze, and when he reached a certain point, he disappeared, fading into the haze as if he weren’t even there. That made me pause. That wasn’t very much like a time loop. I wasn’t worried about him, because the nature of the entire loop I was trapped in meant that it would just restart. My study must be the only isolated part of it. I debated walking out to check it myself, but I decided against it. My study was immune, which meant that if I were to leave it, I might age until death in an instant, or I would be torn apart by a paradox of some kind. It was safest to stay put until I or somepony outside it figured it out. I shut the door, knowing Shining Armor would be back to start it all again soon, and spent the time thinking. There was one question that was bothering me; if I was receiving all these notes from myself, when did I write them? Was I writing them at some point past this whole thing, when I had time to put them to paper? For that matter, when was I putting them there? How did I go back in time and plant them at specific points for myself to find? How was I hiding them until then? I had checked some of these places before the notes appeared there, and they hadn’t had notes on them then, so that meant there were specific points in time that they arrived, so when had I done that? The more I thought about it, the more it didn’t seem like a time loop, which was worrying me. If it wasn’t a loop of time, then what was it? How was it happening, and what part did I and my crystals play in it? I paced back and forth, thinking about everything. My study spun around me as I walked. My eyes were staring at nothing, pointed at the floor but focused on nothing at the moment. I paced and waited, expecting a knock at the door any moment. I wasn’t keeping track of time, but Shining Armor was due back any moment, I thought. The knock came at the door and my head shot up. My eyes focused again, and I screamed. There were notes covering every surface in my study. They were plastered on the walls, stuck to the ceiling, pinned to my cloak, buried under books, sticking out from their pages, covering my bottles, sitting on my shelves, and stuck to each other. Every single one of them said “Please stop.” “Sunburst, are you okay in there?” I tried to breathe. My heart hammered in my chest as I hyperventilated, looking around at the livid black text on every single note in the room. In all capital letters I saw “Please stop” all over the place. I tried to answer, but the words stuck on my tongue, and I just stammered stupidly. The door slammed open and Shining Armor burst in. He skidded to a halt inside the door and froze. His image looked ready to fight, but he had gone fuzzy and still. The outside world was an indistinct haze through the open door behind him. I looked at him in confusion and panic, a strange cocktail of emotions flowing through me. “Prince Shining Armor?” I finally choked out. He didn’t respond. He was frozen, stuck in time, but indistinct, as if he didn’t know what he was doing. Or what he was going to do. He looked heroic, surely enough, but he wasn’t moving. “Oh no,” I muttered. “Oh no, oh no. What’s happening? He got himself caught in the one place that was immune to the loop, and I still don’t know what’s going on.” I reached out a hoof to touch him, but pulled it back, unsure what would happen if I touched him as he was. The time differences between us might ruin it. But this didn’t seem like time. Shouldn’t he have joined me in being immune to the time problems? And where were these notes coming from! The more I thought about it, the less it seemed like a true time loop, and more like something else. What, though? Shining Armor’s form started to go strangely staticky, and his shape remained, but now it was whispering. I pricked my ears to listen, and I heard “Please stop” being muttered in my own voice. “Stop what!” I yelled. “What am I stopping? I can’t figure it out, and I don’t know what you’re talking about!” The whispering got louder, and I shut my eyes and put my hooves over my ears. The items I was holding all dropped to the floor. The notes fluttered down and the crystal thunked against the crystal flooring. The book made a heavy thump as it impacted the floor, and I just crouched down and waited, trying to hide from everything around me. Despite my attempts at blocking out the outside world, no matter how much I waited, I heard a knock at the door again. “No no no. Go away. Not again. Stop this, please!” I heard Shining Armor’s muted voice, and I knew exactly what he was saying. I ignored him and waited. I could hear my own voice repeating “please stop” over and over again coming from the remnants of Shining Armor’s previous iteration. The knocking came again. I continued ignoring it. The knocking got louder. I heard him say something. I ignored it. It got louder. And louder. And louder. I let go of my ears and jumped up, screaming. “Stop it! I don’t want to hear your problems! I’m smart, but I’m not a parent! I don’t know the first thing about the day to day care of a foal! I know what a crystalling is, I know what a bar mitvah is, I know what a cuteceanera is, but I’m not a parent! Stop asking me like I know!” The knocking immediately stopped. The echoes of it still sounded in my head, but there was no longer any pounding at the study door. The staticky form in my study hadn’t gone away, and it was still whispering at me, however, but at least the knocking was gone. I picked up the turquoise crystal and the book from the floor. I left the notes where they were. They’d gotten mixed up in the piles of notes that had appeared covering everything, and I figured they weren’t the important part of the problem. It was something else I needed to worry about. Or did I? I was working on a memory crystal. Something to help me remember. I hadn’t remembered anything, and when I’d tried to use it, nothing had happened. I looked up at the crystals on the shelves above me. There were more of them, but I don’t know why they were all vermilion and not turquoise. What was I doing wrong? Did they have something to do with the problem? More notes appeared on the shelf, covering the bottles. I brushed them away and took down the first vermilion solution to look at. I compared it to the turquoise one. They were both solid, but very different in structure. What was the connection? I opened the bottle and removed the vermilion crystal. I held both it and the turquoise crystal up next to each other and compared the two. There wasn’t much similar between them that I could see. One was a crystal lattice of thin branches, and the other was a thick, solid formation. I had dropped the turquoise one and it hadn’t even flaked. The vermilion one looked like it would shatter if I so much as sneezed on it. I moved the turquoise one behind me to float out of sight and focused my attention on the vermilion one. If I were to take a look at the construction of the vermilion one, maybe I could understand what was going on with the turquoise one and determine what I needed to do to fix it. If the vermilion one had a different effect, maybe that was what caused this mess? It wasn’t a time loop, I was sure of that. It seemed like one, but there were a lot of factors that made no sense, so using something different to try and replicate the effects might help me understand it better. But that raised the question of what might happen now that I was already inside… something. But to better understand it… that would be the ultimate question. To know what I had done, and then try to remove it. I had fixed the crystal heart with just a little bit of hearsay and knowledge of tradition, I could fix this with just a little bit of experience and testing. The book didn’t explain anything about the results of testing the vermilion crystal, so surely it wouldn’t be that bad. If it caused death, destruction, or anything else, it would have been written down. The author had written other books, so it couldn’t be so bad. I pulled the book off the floor and looked at the instructions. I double-checked to see if any adverse effects had been reported, and although there was mention of him remembering things he hadn’t wanted to remember, there wasn’t anything else listed under the effects. I nodded, took a breath, then cast the spell. ________________________________________ I’d created something amazing. I knew I had, because it gave off juuuust the right amount of smoke. The smoke was a dead giveaway. It was turquoise instead of vermilion. That meant the reagents had properly reacted and were giving off the energy needed to make the solution expand to fill the flask. I watched it grow, frothing and bubbling until it reached the lip, then put a cork in the top. It stopped frothing immediately and settled, the undissolved parts sinking to the bottom as it calmed. I danced as I held the bottle high above me in my magic, prancing in a small circle. “Yes! After all this effort, I got it!” I said to myself. I’m my best listener, you know. I had been working for weeks on understanding the solution’s properties. It was an old excerpt from the alchemists of the Crystal Empire in one of their texts. Having read so many of the books, I had always wanted to try out some of their work and working with the crystals that made up much of the city seemed fun and harmless. Mind you, alchemy and magic both aren’t things to be trifled with, and of course, I took every possible precaution. Protective eyewear over my glasses, gloves for my hooves, and I even left my cape on during my work. I was hoping it would protect me if anything splashed. That way the only thing damaged would be my cape and not my skin. The current experiment I was performing was a test of the ground up crystals that filled the empire. There was ambient magic everywhere here, and the possibility that it could be harnessed in a way much like the crystal heart itself was tantalizing. What this test would do was… was… I turned around in a slow circle. There was shelf upon shelf of vermilion bottles lining the walls, and more of them covering the floor. The single turquoise solution was in my grasp, and on it was pasted a note saying, “Please stop.” In addition to that, there were notes everywhere all over the room, covering absolutely everything. Every single one said, “Please stop.” I heard a knock on the door and went over to it in a confused daze. My hooves kicked up a small cloud of notes, all with the writing, “Please stop.” On it. I pulled open the door to see Shining Armor, covered in notes that said, “Please stop.” He opened his mouth and said, “I don’t want to remember anymore,” in my voice. “Remember… what.” “I’m not the best at magic,” he said in my voice. “I’m not the wisest. I’m very good at what I do, but I’m not infallible. I’ve made mistakes before, and I’ll make mistakes again. I’m no Starswirl the Bearded, but I am Sunburst. I know when I’m in over my head, and now I am, but I don’t know how to stop it. But I do know that I need to please stop.” “Stop… what?” “Stop using the vermilion crystal.” I blinked, and in my magic the turquoise one turned red. I looked back at the room. Whatever was happening, I didn’t want to know, and I didn’t care. I dropped the bottle. It broke. I opened my eyes. On the shelf in front of me was one vermilion crystal, and one turquoise one. I was holding a book. There were two notes in front of me. One pasted on the vermilion crystal. It was; Do not use. I swallowed. Nodded. And put down the book. I went outside. The streets were clean, clear, and obvious. I could see Shining Armor coming down the street. I went the other way. It was a good time for a walk. The End.